A must-have product for every photographer. 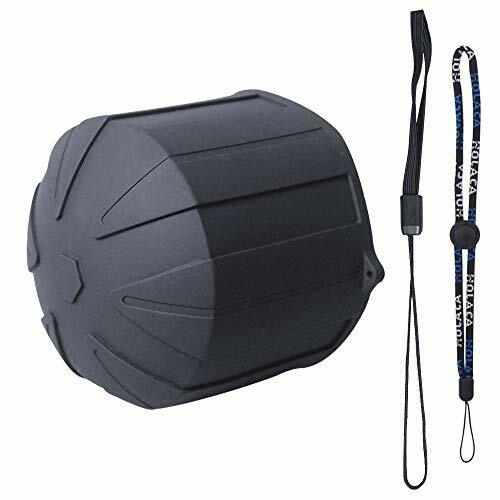 The Altura Photo Lens Cap Keepers will save you from ever having to worry about losing a lens cap again. Fits all lenses and lens caps. 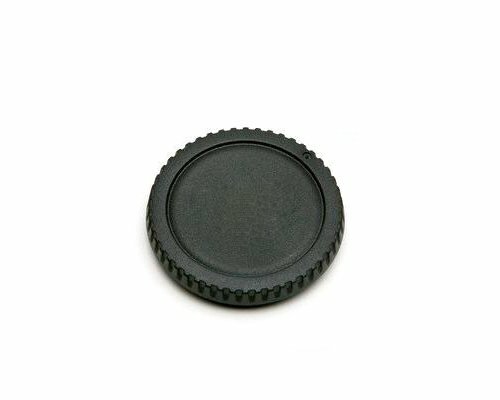 - Easy to use: The small adhesive button sticks onto the front of your lens cap. The elastic loop on the other end expands to fit around the barrel of your lens. The lens cap will remain attached, hanging from your lens. - 5 inch cord length. - Lightweight and durable lay flat design. - Works with all types of lens caps; center-pinch and snap-on. Universal elastic design fits all lenses and lens caps. Fits Canon lens with 55mm filter diameter. Lens cap comes with a lens Keeper. Protects your Lens from dust, scratches, water damage. 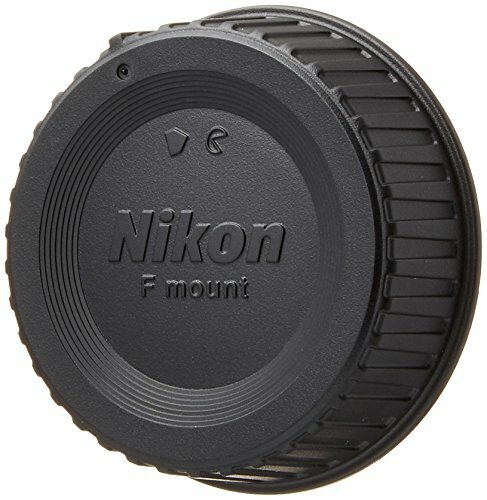 This Nikon LF-4 Rear Lens Cap is designed for Nikon F mount lenses, and will keep the rear glass and other delicate elements of the lens free from dust, smudges, scratches and more. Compatible with Nikon F mount lenses. 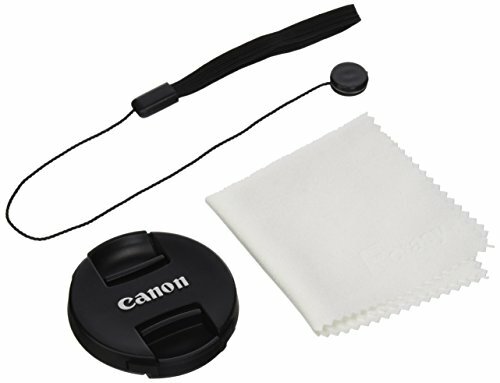 The Canon E-77II Snap-On Front Lens Cap fits lenses with a 77mm filter thread. It protects the front element from dust, smudges and scratches when not in use. 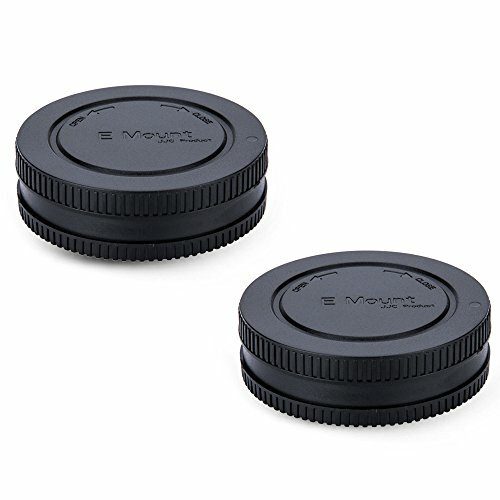 VKO Rear Lens Cap and Body Cap is designed for Canon EOS 60D 70D 77D 80D 7D 5D 5D Mark II III 700D 650D 600D Rebel T7i T6 T6i T6s SL1 T3 T3i T4i T5i T5 XS Camera Body and EF lens. When storing the camera without a lens attached, the body cap protects the image sensor and internal camera components from dust, moisture, and other elements. Body Cap fits: Canon EOS Digital Rebel (300D), XT (350D), XTi (400D), XSi (450D), T1i (500D), T2i (550D), T3 (1100D), T3i (600D), T4i (650D), T5 (1200D), T5i (700D), T6i (750D), T6s (760D), T6, T7i, SL1 (100D) and XS (1000D), 60D & 70D,77D, 80D, 10D, 20D, 30D, 40D, 50D, 5D, 5D Mark II, 5D Mark III, 5D Mark IV, 5DS, 5DS R, 6D, 6D Mark II, 7D, 7D Mark II, 1D, 1D Mark II, 1D Mark II N, 1D Mark III, 1D Mark IV, 1Ds, 1Ds Mark II, 1Ds Mark III, 1D X, 1DX Mark II and 1D C etc.Camera Body. 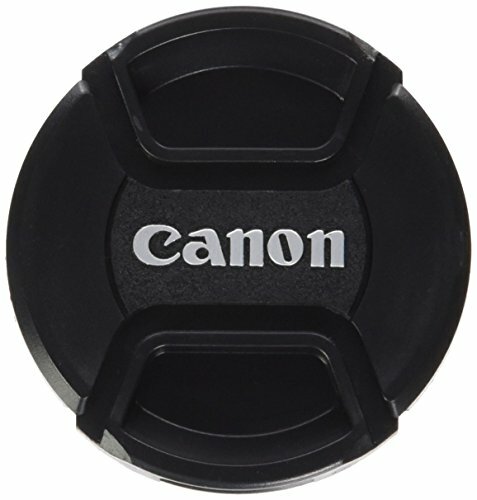 Rear Lens Cap fit: Canon EF or EF-S mount lenses Package includes: 2pcs Body Cap and 2pcs Rear lens cap. 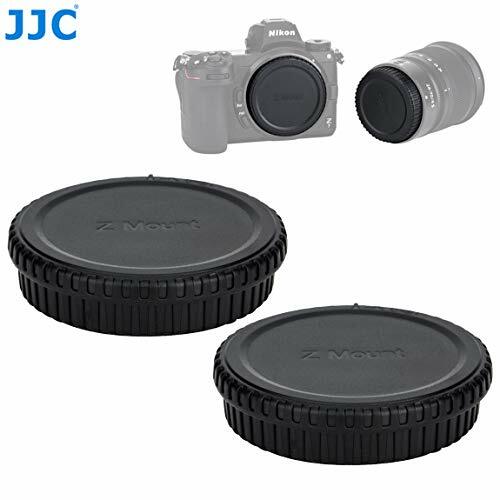 JJC body cap and rear lens cap kit contains both a body cap and rear lens cap for camera bodies and lenses. The body cap fits onto the camera's lens mount to protect the camera's sensor from dust and damage when a lens is not mounted. 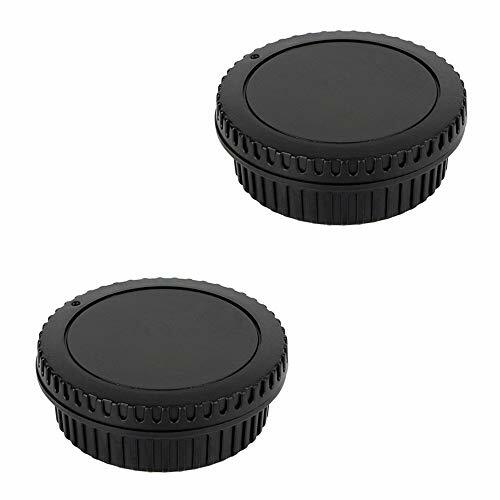 The rear lens cap is placed on the rear mount of your lens when the lens is not in use on your camera. It protects the rear glass element and electronic contacts from scratches, dust, water, and fingerprints. 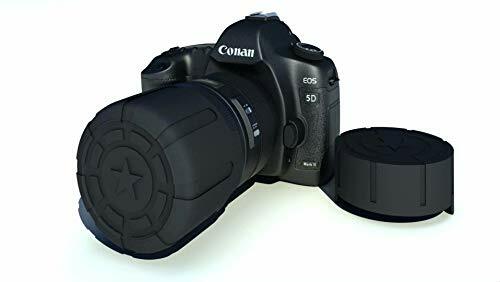 This Canon RF-3 Body Cap for EOS SLR Cameras is the replacement body cap which prevents dust and contaminants entering the camera body while it is stored without a lens attached. 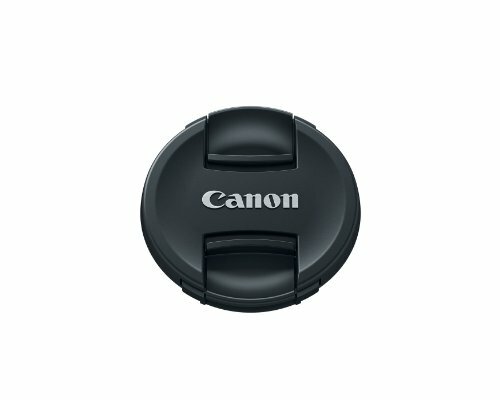 The Canon RF3 is the replacement body cap which prevents dust and contaminants entering the camera body while it is stored without a lens attached. Ours silicon cover is soft and stretchy enough, it will not scratch your lens margin, protect your camera lens without the damage. 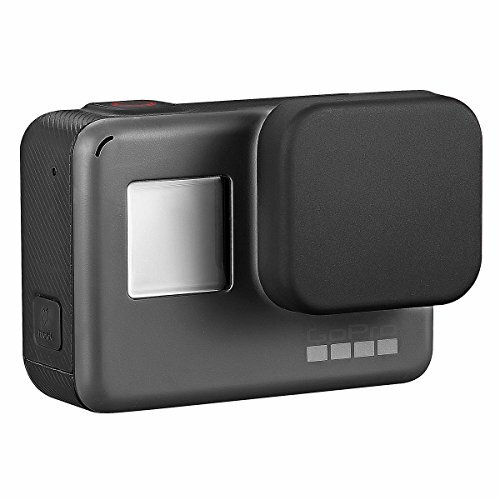 We had do the test for each cover, it is suit and steadiness perfectly for GoPro Hero5 Hero6 action camera. Also please kindly noted that it is not compatible with GoPro Hero7 Silver & White. The package is not include the action camera. &star; Sithout Damage Let your camera whole lens without the scratch, dust, and other damage. &star; Special Material It make of silicon material which could protect your camera more steadiness and perfectly. &star; Thickness The product thickness is 0.3cm and thicker than others silicon cap. 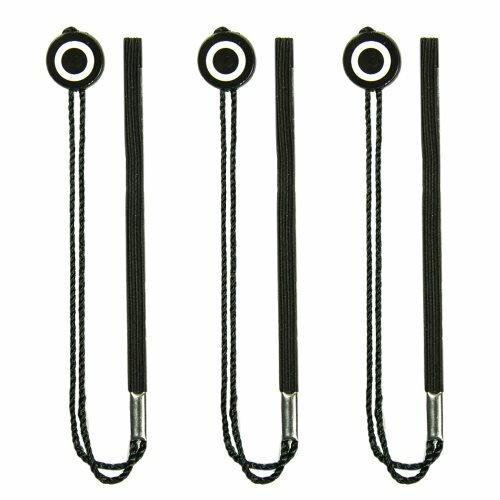 &star; Flexible Durable and high quality, because of it has flexible effect. 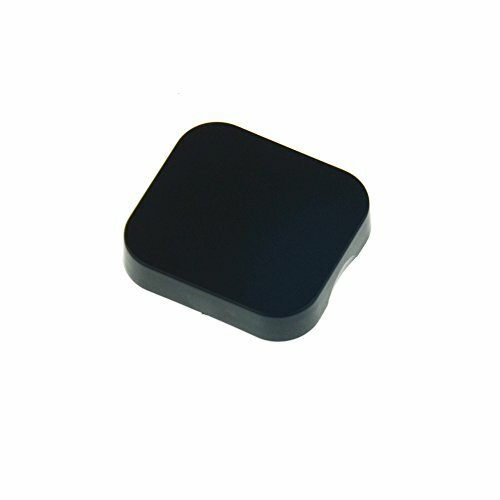 &star; Compatible Special lens cover design for GoPro Hero5 Hero6 Hero7 Black action camera. Ultra-wide angle body cap lens for use with Micro 4/3 cameras. 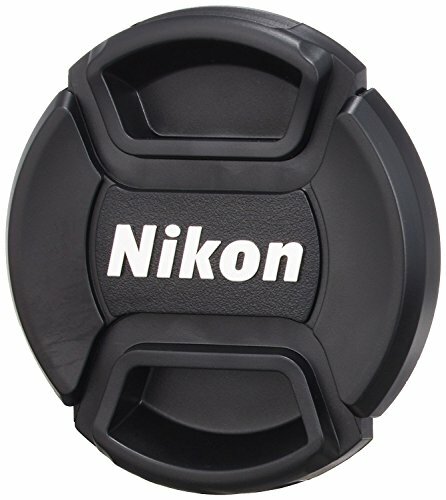 The Nikon LC-52 is a Snap-on Front Lens Cap for lenses that have a 52mm filter thread. It snaps onto select NIKKOR lenses, protecting the front element from dust, smudges and scratches when not in use. 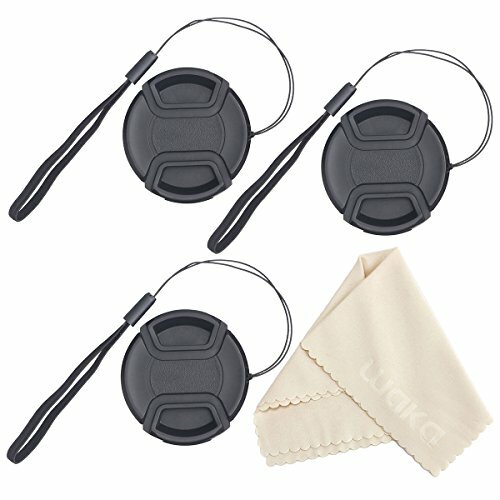 Lens Cap Bundle by CamKix These caps feature a front pinch style lens attachment, that does not protrude beyond the cap's diameter, unlike an outside grip style cap, which makes it much easier to attach and detach when a lens hood is mounted. There are 4 lens caps in the bundle, so you'll always have spares in case one gets lost!Contents:4 x Lens Caps (58mm)4 x Lens Cap Keepers1 x CamKix; Microfiber Cleaning Cloth Compatible with: DSLR Cameras CamKix if for any reason you are unhappy with any product by CamKix , please do not hesitate to contact us. We take full ownership and responsibility for the quality of our products and will do our very best to solve your problem quickly and efficiently! CamKix -USPTO# 86127507- is a registered trademark protected by US Trademark Law. CamKix products are sold by authorized sellers only. Pinch the sides of the cap and snap it into place. 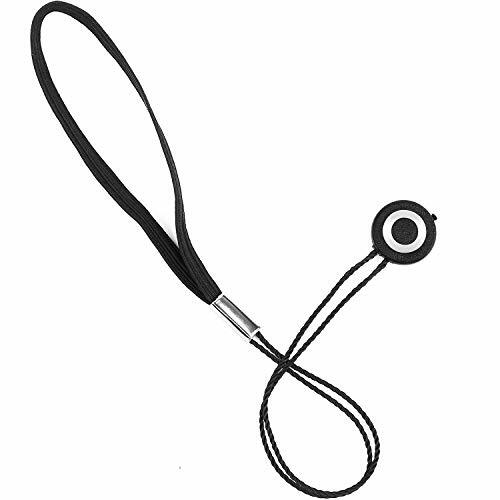 Includes lens cap leash to prevent losses. Special design lens cap that keeps lens 100% sealed when mounted even there's a hole on it for cap keeper leash. Please find your lens thread size on your camera lens front following by symbol ' ' to choose the correct size. 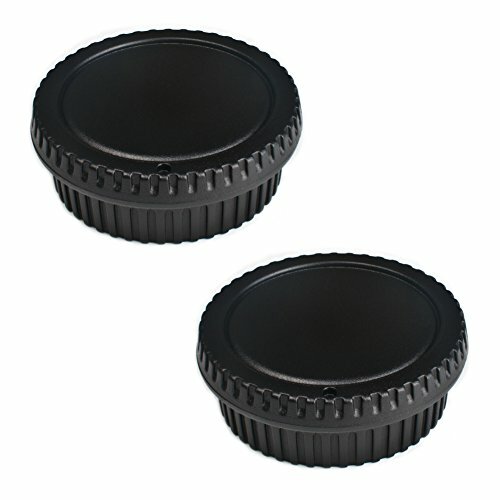 Lens cap leash is neatly attached in cap hole instead of other ugly and easily fall off front adhesive tab lens holder. Snap-on center pinch design allows easy attachment and removal, even with a lens hood in place. 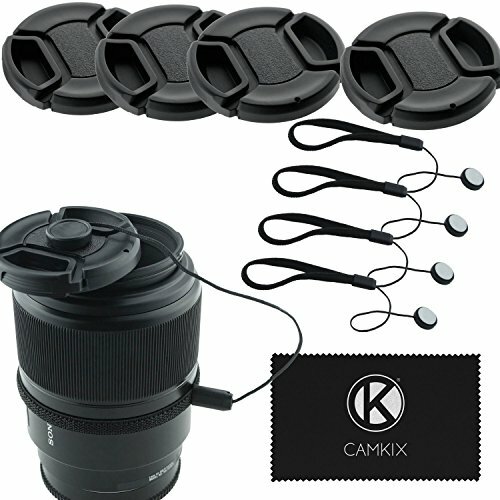 Truely premium quality lens cap bundle to protect your lens from water, dust, scratches and losses. Ideal universal replacement lens cover for Canon, Nikon, Sony etc DSLR cameras. Free premium quality microfiber cleaning cloth 6x7 included. TIPS: 1) Cap keeper leashes are not attached on lens cover default. 2) For Canon 18-55mm lens please choose 58mm size, for Nikon 18-55mm lens please choose 52mm or 55mm size. Back with waka's 30 days NO QUESTION ASKED money back guaranteed and 12 months 100% Satisfaction Guarantee warranty. Buy with confidence. 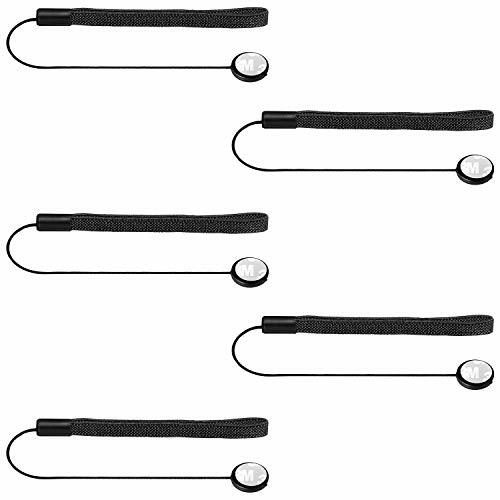 - Center pinch design allows easy attachment and removal, even with a lens hood in place. - Backed with Digital waka 90-Day 100% Satisfaction Guarantee. Lens cap leash attach in cap hole instead of ugly and easily fall off front adhesive tab lens keeper. Truely premium lens cap bundle to protect your lens from water, dust, scratches and losses. Moment Lens Cap for our New Wide Lens (ONLY). Please note a lens cap already comes in the box when you buy a New Wide Lens so this is an EXTRA lens cap. If you are looking for a lens cap for any of our other lenses, please visit our Amazon store to find the right lens cap. The lens cap protects the front of your Moment NEW WIDE Lens from drops, scratches, and the occasional tumble. JJC ALC-X100 Hood Cap is a creative product design by JJC company. The Hood Cap combine the auto lens cap and lens hood function together. When the Hood Cap is screwed to the camera body, user will not need to screw out the HoodCap when take the photo. Just need slide the OPEN button on the cap, 3 pieces of lens cap leaf will auto open. At this moment, the 3 pieces leafs will be come a lens hood to shades the lens from stray light, improving your contrast and image quality. When the HoodCap is not on use, press the leafs back to the original place from 1-2-3, you will see the number in the each leafs. Now you do not need to worry about lost you lens cap or lens hood. Hood Cap will stay on you camera all the time. 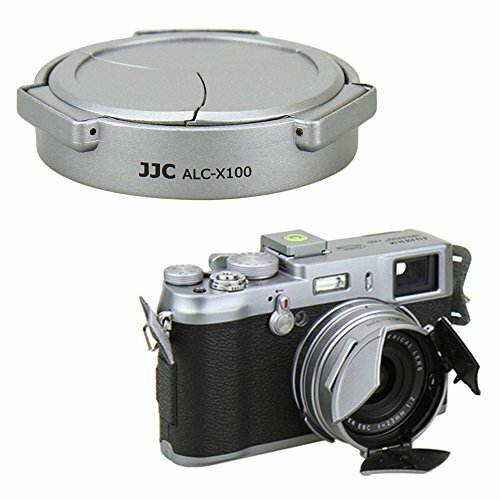 Reminder: please remove the front ring on X100F, X100T, X100S, X100 before installing this hood cap. 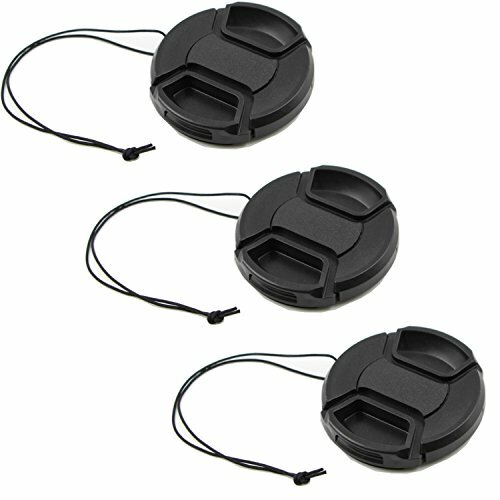 Photo Lens cap keeper holder prevents your lens cap from ever getting lost again! EOS 5D, 5D Mark II, 5D Mark III, 5D Mark IV, 5DS, 5DS R, 6D, 6D Mark II, 7D, 7D Mark II, 1D, 1D Mark II, 1D Mark III, 1D Mark IV, 1Ds, 1Ds Mark II, 1Ds Mark III, 1D X, 1DX Mark II, 1D C, etc. PHOTOGRAPHY EQUIPMENT:Professional photographers should have this professional camera cover, which is called professional. Of course, love your camera and certainly put a cover on its lens. FULL PROTECTION:We love our cameras, and of course we do not want to damage our camera lens.This cap is waterproof, dust-proof and shock-absorbent.Install our lens cover, you don't need to worry about your lens. FOR YOUR PHOTOGRAPHY TRIP: Bring your camera to the seaside, the mountains, the desert. Install our protective cover, and you will find that your lens is not threatening. CONVENIENT: very easy to install, disassemble and carry around, as it can be placed in a narrow space. NOTE Designed to fit lenses with a 54-71mm diameter. 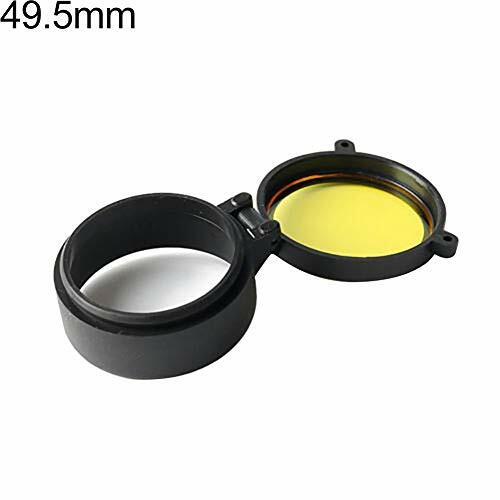 Anti-dust protective lens cover cap. Made of high quality plastic material, durable to use. Flip-up lid design, convenient to use. JJC L-RNZ Rear Lens Cap replaces Nikon LF-N1 Rear Lens Cap. The Fotodiox replacement body cap compatible with Pentax K bodies is an affordable replacement part made of a durable plastic composite. Protect your Hasselblad's inner workings from objects and the elements with the precision made cap designed to fit firmly onto the body of your camera. NOTE Designed to fit lenses with a 72-110mm diameter. 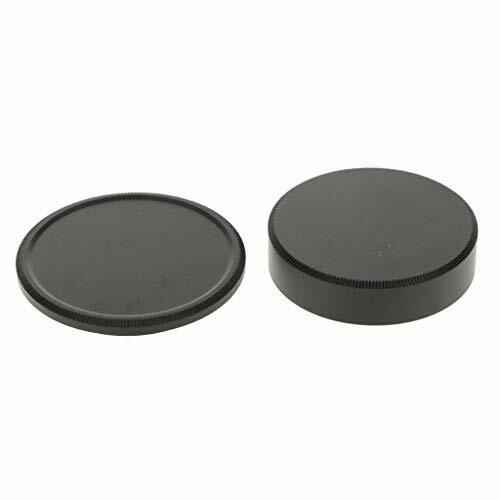 - Rear and body lens cap for Leica M39 39mm screw mount camera lens. - This product is a suit that includes a lens back cover and a body cover. - Made of metal aluminum, it is fine workmanship, anti-deformation, anti-rust, durable. - It can protect the body and lens well from dust, moisture and other impurities. 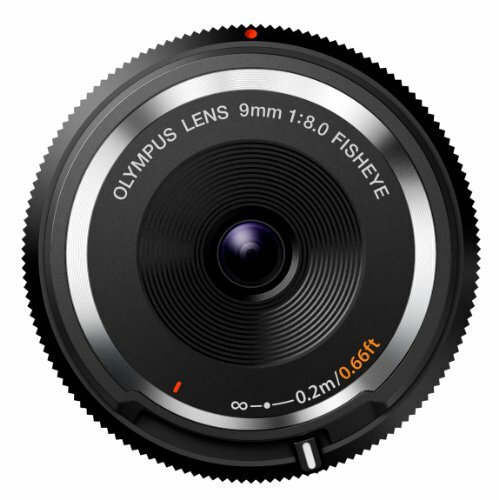 - High-precision features makes it perfect for your lens. Made of metal aluminum, it is fine workmanship, anti-deformation, anti-rust, durable. It can protect the body and lens well from dust, moisture and other impurities. 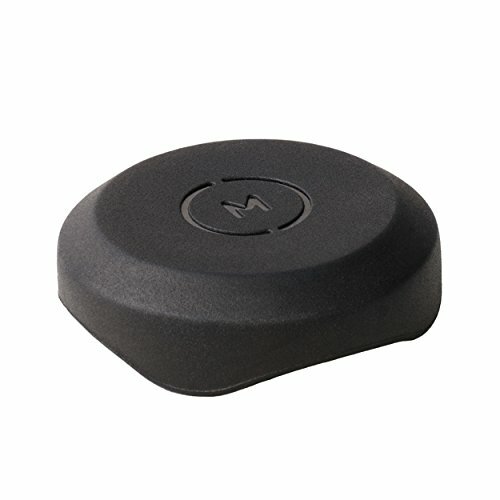 Protective lens covers for your GoPro Hero 7. Keep your lens safe from scratches or dirt when pulling the camera in and out in your bag. 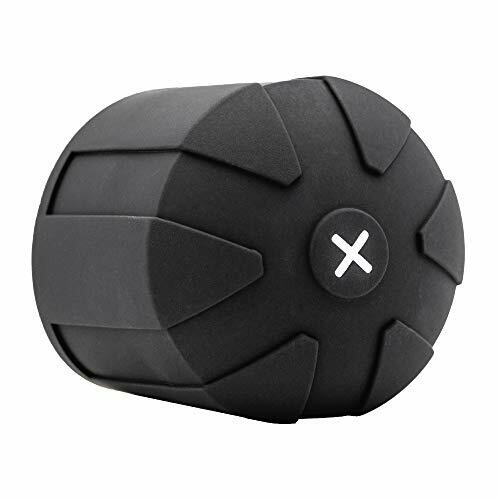 COMPATIBLE WITH :GoPro Hero 5, Gopro Hero 6, Gopro Hero 7 sports camera lens, protective cover for the lens. Protective PC lens cover: it can protect camera lens from dirt, scratches, etc. 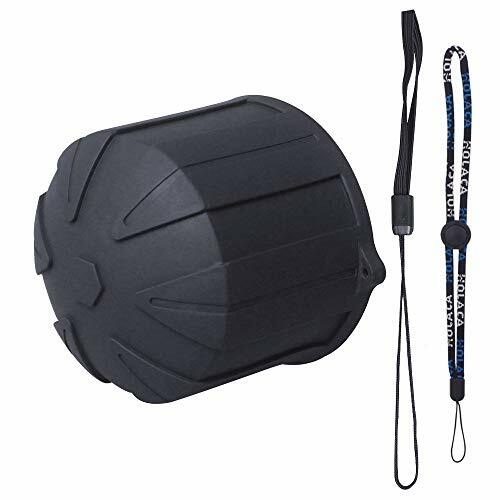 Description: Suxingshu Camera Lens Cap is made of premium quality plastic, which is with a hole on the edge to tie the holder leash in case of falling. When mounted, our lens cap keeps your lens 100% sealed from external agents such as dust particles, water splashes, sun rays, and also protects from scratches.